Is On-Demand the Future of Warehousing? | Affiliated Warehouse Companies Inc.
Is On-Demand the Future of Warehousing? Posted October 10, 2018 & filed under Warehousing Industry. 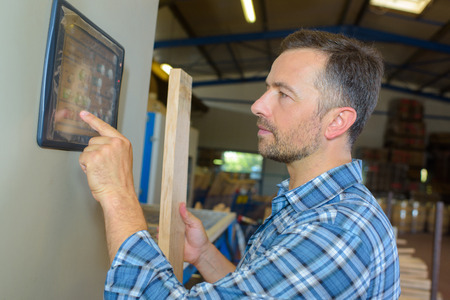 The warehouse industry is changing at a rapid pace these days. While companies have been utilizing warehouses for storage and shipping purposes for years now, the emergence of e-commerce has changed the warehouse game and sent more and more companies in search of warehousing opportunities. Companies want to be able to supply their customers with their products as quickly as they can, so they’re snatching up warehouse space at record rates. They’re not all using the traditional warehouse model when they do it, though. In years past, those companies wishing to rent warehouses typically signed multi-year leases to get access to them. They agreed to lease the warehouses for up to 5 years at a time and used their sales forecasts to predict how much space they would need in warehouses over that time period. This model worked well for both companies in need of warehouses and warehouse owners. But these days, many companies are interested in using what’s called on-demand warehousing. It allows them to rent warehouse space for shorter periods of time to meet the seasonal demands of customers. Certain home improvement stores and other companies that only need warehouse space at specific times of the year have started to use on-demand warehousing to their advantage. They’re able to use warehouse space when they need it and walk away from it when they don’t, allowing another company to step in and use it for their own needs. The thought is that this on-demand warehousing could become more common among companies as we move forward, especially as e-commerce continues to grow. In the coming years, people are going to expect all companies to ship orders to them in a matter of just hours, not days, which is likely going to lead to an influx of companies utilizing on-demand warehousing to keep up. It offers a flexibility for companies that they don’t get when they rent traditional warehouses. It remains to be seen whether on-demand warehousing is here to stay. But if it sounds like something that might benefit your company, Affiliated Warehouse Companies can tell you more about it and show you warehousing options in your area. Call us at 732-739-2323 today for all your warehousing needs. We have been in business since 1953 providing customers with reputable warehousing solutions across the USA, Canada, Mexico and Puerto Rico. ©2019 Affiliated Warehouse Companies Inc. All Rights Reserved.